Looking for a more exciting way to spend your weekends? Or maybe you’re considering a career change to something rather unique – say a helicopter pilot? Opportunities in this field are plentiful and could include working in the emergency medical service flying victims or life-saving organs to a hospital heliport, carrying workers or supplies to offshore oil rigs, conducting sightseeing tours, working for a television station gathering news or in law enforcement. To take advantage of these and other opportunities there are scores of pilot training schools waiting to launch you into this small fraternity of helicopter pilots. But what will this investment cost? The time it takes a student (at least 17 years of age) to complete the flight training will vary according to his or her proficiency but usually it will take between 8 to 10 weeks. And, of course, the longer it takes the student to complete the training, the higher will be the cost. Because of these variables, the charges outlined are considered to be typical costs. The cost for obtaining a private as well as a commercial helicopter pilot license can be broken down into two parts – flight training costs and other training expenses. Some flight schools may include the use of a flight simulator and pre-post flight briefings as part of pilot training costs. Not included is a fuel surcharge of $8 per flight-hour. Total Cost – Private helicopter license is $12,000 to $16,000. Now that you have your private helicopter pilot’s license you can fly to your heart’s content but the one thing you cannot do is carry passengers or cargo for hire. For that you will need a commercial helicopter pilot license. 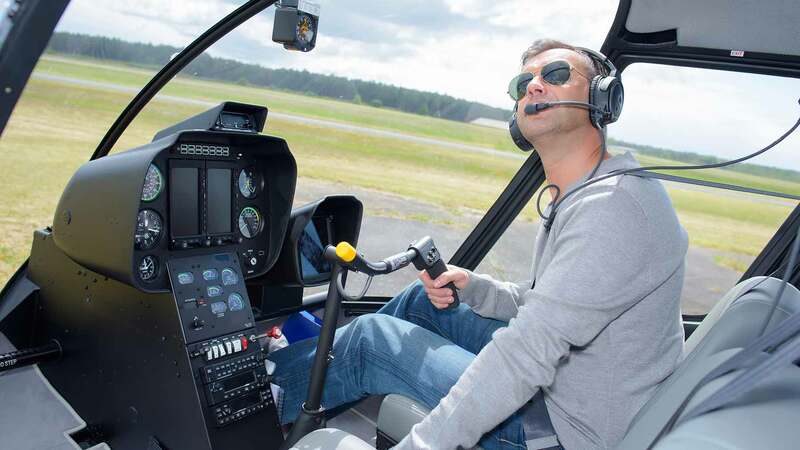 Since you already have a private helicopter license, which incidentally is a pre-requisite for obtaining a commercial helicopter license, this scenario may have crossed your mind. The costs, however, will be significantly higher as outlined below. Some schools may leave a few charges off the total cost-estimate, such as the insurance waiver or the cost for the helicopter to take the FAA flight test, but include in the document that additional costs may apply. It’s important, therefore, to ask what these additional costs are, and to shop around and compare the itemized estimates to determine the exact services you’ll be receiving and paying for. Also, since quality is more important than cost, be sure to book your training with an FAA-approved school.